On May 6th, 2017, The Trickster Art Gallery and Native Cultural Center in suburban Chicago hosted a small group of my close family and friends for the official launch The Native Family Disaster Preparedness Handbook. (Heritage Publishing). 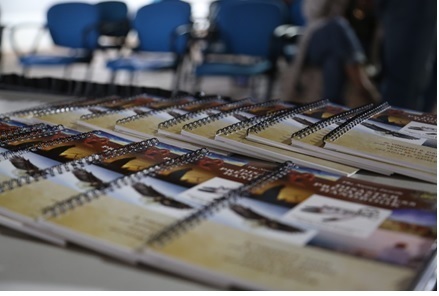 The launch event was the culmination of a yearlong project to publish a first-of-its-kind comprehensive guide, designed through a collective effort of and Native and non-Native stakeholders. The Handbook’s purpose is to help bridge the disaster preparedness gap for residents living in Indian Country. The National Tribal Emergency Management Council, and Native Public Media, contributed immensely to the tone and content of the 68-page spiral-bound book which consolidates wide-ranging aspects of preparing for natural and human-caused emergencies. 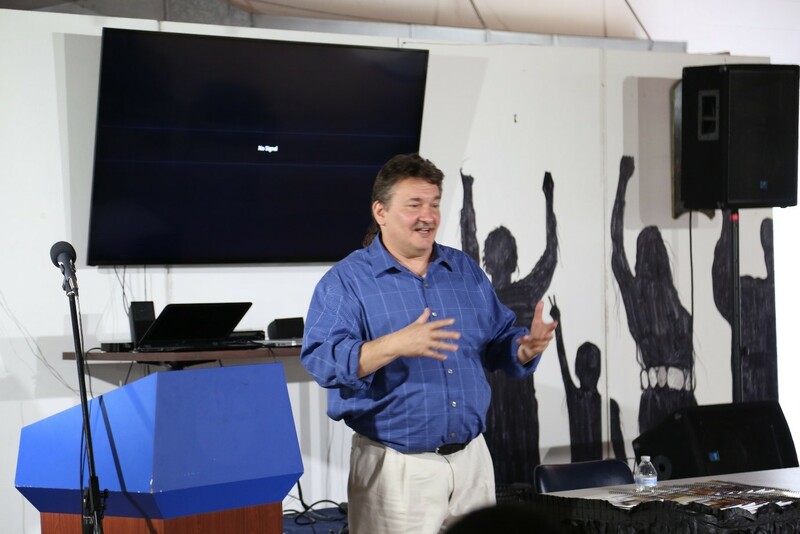 Sean Scott, author of The Red Guide to Disaster Recovery, Kenneth Bibbins, an entrepreneur and trauma expert from New Orleans, and Adam Geisler, Secretary of the Inter-Tribal Long Term Recovery Foundation co-authored the book. As I prepared my remarks for the book launch, my thoughts drifted back to the previous week, when I was privileged to visit the Chickasaw Nation Cultural Center in Oklahoma. There, I was treated to a fascinating journey through the rich history of a proud Native nation. Strangely enough, learning about the Chickasaw history reminded me of the personal struggle for survival that continues for many people of color in our country today. Like the Natives, my African-American ancestors suffered the atrocities of a systematic and purposeful effort to assimilate us to the will of those who benefitted from free labor used to build economic prosperity. But unlike slaves, Natives were considered to be a bigger problem for European settlers. They were viewed as formidable obstacles to progress by Europeans, who desired to control the land and its abundant natural resources. Although the Native people were nearly annihilated, they survived. Today their communities continue to thrive despite generations of broken treaties, discrimination, displacement, and generational trauma. 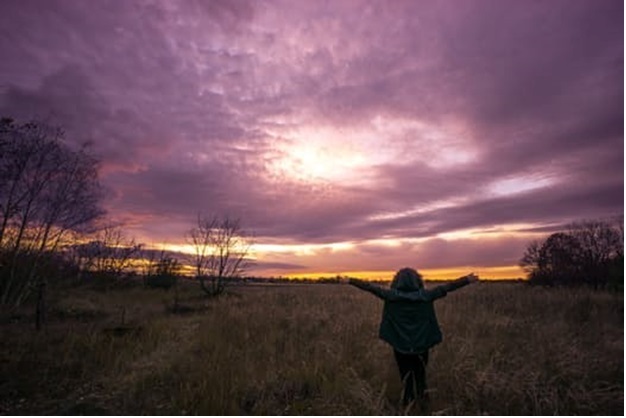 Throughout their history Native cultures have traditionally believed that the land and its resources are ordained by the Creator, not the exclusive property of any individual or people, but available for the benefit of all, to be nurtured, and cherished. The commitment to be protectors of the land permeates throughout Native culture today. 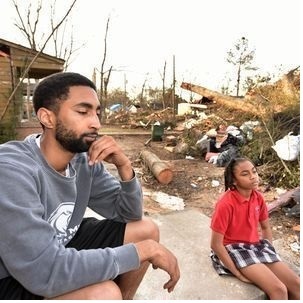 I began to think of the Hurricane Katrina catastrophe, and the Flint Michigan water contamination crisis, where mainly Black, poverty stricken communities were caught unaware, and unprepared for a crisis that would traumatize and adversely impact both present and future generations. I thought of the Standing Rock crisis, and witnessed as over 500 Native Nations rallied together around a single theme..... Survival. The Oceti Sakowin Camp was a historic gathering of Tribes, and allies from all walks of life standing in solidarity to halt the Dakota Access Pipeline. While many opponents of the pipeline incursion were not directly affected, the importance of the moment galvanized them around the common purpose of survival of Native people, and drew the world's attention to concerns of protecting the environment and sacred sites that are the lifeblood of indigenous people. I wondered why, on the other hand, the atrocities of Flint and Katrina did not draw a similar outcry and outrage from America's Black community? Accept for a few local protests in Flint, and despite the displacement of thousands from New Orleans following Katrina, there was no large scale or organized call to action---- no legislative or political agenda, or nationwide groundswell of Black community support to address the root causes of these tragedies. Little resistance was mounted to the apathy and indifference to the plight of the people who suffered and continue to suffer as a result of these tragic, and preventable events. Indeed, most of what took place in Michigan and Louisiana is relegated to a footnote in history, and nothing more. Stripped of our ethnic identity by slavery, Black Americans today remain deeply divided in cultural aspects of interconnected purpose. Although few would disagree that the bond of Black community foundations was irreparably damaged by slavery and subsequent Jim Crow laws, the need for a shared sense of community is still vital to the future survival of our communities, especially in emergencies that affect the larger population. But by holding ourselves and others accountable for the loss of life and damage to the health, economy, and institutions of underserved communities, the effect of catastrophes could be averted, or at least diminished in the future. Moreover, taking ownership of one's own survival should be a priority for Black communities, especially following the deaths of over 1,800 people in Katrina, many of whom perished mainly due to a failed system to which they unwittingly entrusted their well-being and survival to others. The path to resilient communities must be rooted in in a shared responsibility that can put aside economic, educational, social, and political differences to come together in times of mutual necessity for the greater good. When I undertook the Native Family Disaster Handbook project, I knew scarcely little about Native culture. Although I still remain a novice in that realm, I quickly discovered that despite subtle and sometimes stark differences in Tribal customs, practices, and traditions among the roughly 6.6 million citizens, and 567 Tribes, (22 percent of which live on reservations), one commonality exists---- a deep respect and reverence for nature and its spiritual connection to the survival of Native people. As I started to understand more about the daily challenges many Tribal families face, I began to contemplate and collaborate on solutions to improve the flow of culturally relevant disaster information. I discovered that less than ten percent of homes on Tribal lands have broadband internet service — a rate lower than in some developing countries. In contrast, more than half of African Americans and Hispanics and about three-fourths of Caucasians have high-speed access at home, according to the U.S. Department of Commerce. Because the vast majority of information about how to prepare today resides on the internet, disaster information resources are nearly impossible to obtain for many Tribal families. Information, no matter how valuable, is only useful if it is accessible and attainable and accessible to those who need it most. The knowledge quandary reminded me of my childhood in public housing in Chicago, where my mother sold encyclopedias to the few families that could afford the $10.00 down payment and monthly cost of $2.25. The wealth of information contained in World Book’s A-Z volumes and dictionaries was lost for many of the poorer families in my community. Indeed, neighborhood kids flocked to our apartment and the homes of the precious few who were fortunate enough to have the books, to partake of what for many was the 1960’s information highway. Most families, however, were left lacking, depending on others for knowledge that could often prove to be life-changing. Having relevant, timely information is important for people to help them make informed decisions, and especially when they are faced with perilous, life-altering situations. My appreciation of the empowerment enlarged by knowledge stimulated publication of my first book, Lost and Turned Out- A Guide to Preparing Underserved Communities for Disasters (Amazon 2012). The book chronicled my experiences in 11 Federal disasters, and emphasized the need for enabling communities to prepare themselves to take ownership of survival as a personal priority, rather than an unattainable quest for creature convenience. Thus, the concept for Native Family Disaster Preparedness Handbook was born. It is a continuation of my determination to demystify the disaster process, and bring preparedness from a concept to pavement level for people who struggle with the real-life challenges of daily existence. To be clear, the Native Family Disaster Preparedness Handbook was created by and for Native people. My role as facilitator for the project was driven by my purpose to empower positive disaster outcomes for the underserved. As we concluded the creative process, one of the contributors called me a hero. I responded with a quote from the late tennis star Arthur Ashe who said: "True heroism is remarkably sober, very undramatic. It is not the urge to surpass others at all cost, but the urge to serve others at whatever cost." My sentiments are not intended to trivialize the disaster preparedness needs and concerns that still exist within Tribal or Black communities. I commend the efforts of and individuals and practitioners who continue to work tirelessly every day to bring greater awareness and participation in emergency preparedness to underserved communities. The Native Family Disaster Preparedness Handbook is merely a small step in a much larger journey to achieve true resilience. Despite the many obstacles and challenges that hinder underserved community readiness, we must all recognize the high cost of preparedness apathy. Failure to act cannot merely be calculated in financial losses, or inconvenience. The true cost must be underscored in the context of lives lost, preventable injuries, and the survival of future generations. Only after we have done all we can to prepare ourselves, can we truly then leave the outcome to the Creator.